Reception has been a thorn in the side of Digital Audio Broadcasting since its inception in the early 80’s. DAB was publicly launched in the UK in 1995 but it was considered a failure due to poor signal coverage, most people stuck with their reliable, trusted and true FM transmission. “If it ain’t broke…”. The fact is that although FM isn’t ‘broken’, it isn’t perfect either and struggles to cope with the demands of the connected world in which we live. DAB, with service following technology and now a 97% total coverage of the UK, ensures that signal dropouts are rare and a high quality sound is consistent in most areas. One of the biggest selling points of digital radio is the sheer volume of stations which can be carried over long distances. DAB is on average three times more efficient at transmitting radio programmes per MHz/transmitter and is less susceptible to co-channel interference than FM. Rural areas where an FM signal is disrupted by hills and terrain benefit hugely from the reliability of station choice of DAB, in particular Southern Norway whose number of available stations rose from 6 to 21 when DAB was introduced. In the UK, repeated investment in new DAB transmitters is giving listeners more stations with better sound quality year-on-year. One of the quirks of DAB which makes it perfect for the modern listener, is its ability to carry more than just sound in its signal path. DAB can carry DLS information from its radio stations, providing artist and track data in real time, as well as news and traffic updates. Coded information such as time/date can also be accessed, and some receivers can even allow for the pause of a live broadcast. Other functions of DAB include the distribution of video, Java, and slideshows, making it an ideal multi-function platform as we move into a more connected world. In 2017, 48 countries either have regular DAB services, or are undergoing trials with an aim to bring in the service full time. Many countries are now at a high coverage level with a large listener base and are closely monitoring progress in order to judge potential FM switch-off. Earlier this year, Norway became the first ever country to declare the switch off of all FM services in a move which will likely be replicated across Europe over the next decade. By adopting DAB, listeners are guaranteed to future-proof themselves against these changes and avoid having to purchase a DAB radio at the point of switch-over. With all this talk of switch-offs and change, it can be a bit stressful when deciding how to upgrade but thankfully, going digital has never been easier. In the UK, 87% of new cars are now fitted with DAB as standard, and 97% of the population has sufficient coverage to listen in their homes. If you have an older car, though, there’s no need to worry. 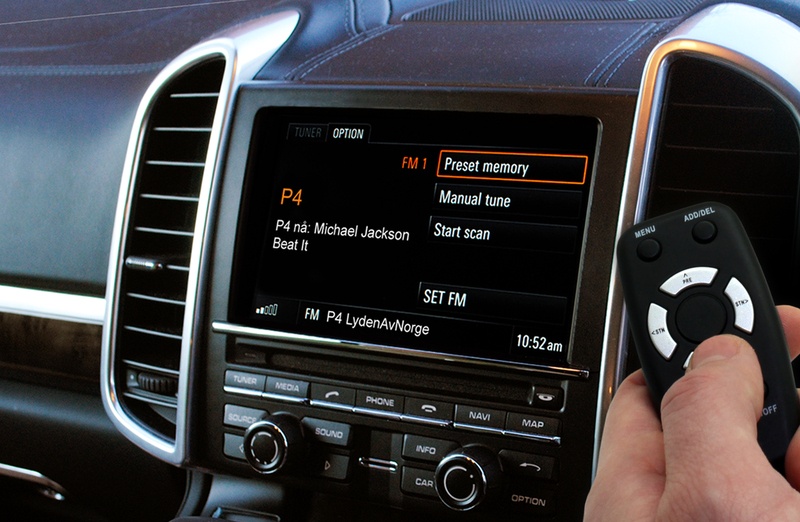 Aftermarket technology is now available which allows for the retrofit of DAB into any car, allowing drivers to reap the benefits of digital radio without having to purchase an expensive head unit or a new vehicle. After months of design work and market research, the AutoDAB GO+ is the newest product from UK company AutoDAB which aims to bring you closer to the music, sport and entertainment you love. Whether you want to be part of the action on match day, chill out after work with Jazz FM, or get nostalgic with Absolute 80’s, the GO+ can take you into the moment, wherever you are.